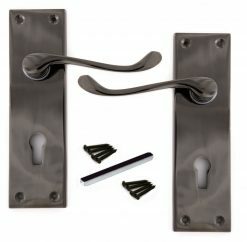 As the name suggests, Victorian black nickel handles evoke the style of the Victorian era, with it typically featuring a beehive shape in the most traditional sense. 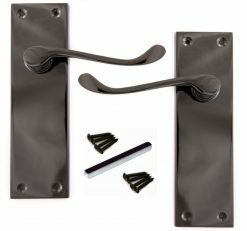 Although brass would have been most common in this period, at Direct Hardware UK, we offer such door handles with a modern twist in a black nickel that alludes to the Art Deco style. 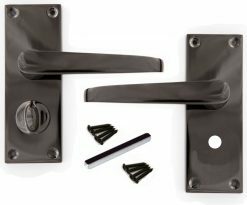 The Victorian black nickel door handles that we have in stock include both straight handles and the more curved scroll lever handles. 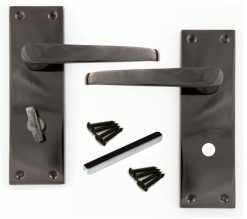 We supply ten different options, including a choice for those both with or without locks. 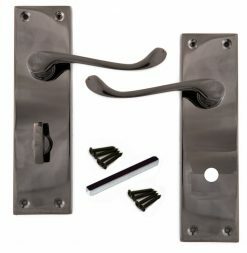 Some designs have a lock especially designed for bathroom doors, and others offer a standard key hole, offering a solution when you’re looking for privacy and security. Prices vary from as little as £8.85 to £10.85 depending on the model you select. Each product comes as a pair for corresponding sides of the door, made from a zinc plate alloy and finished in a black nickel. 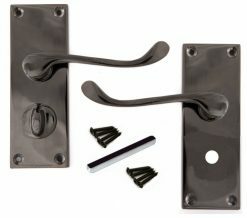 The item includes all necessary screws and spindle, as well as the thumb turn and release with coin slot where relevant. 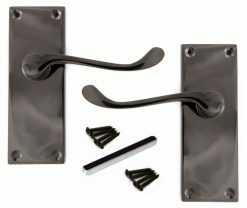 They measure at either 112mm x 40mm or 150mm x 40mm, depending on which option you choose. For more information about our Victorian black nickel handles or any other products, please get in touch with us at Direct Hardware UK.